Iso Color Preserve Condition,A vitamin enriched conditioner that hydrates hair, enhancing color's shine, clarity and luster. A vitamin enriched conditioner that hydrates hair, enhancing color's shine, clarity and luster. Iso Color Preserve Condition,A vitamin enriched conditioner that hydrates hair, enhancing colors shine, clarity and luster. A vitamin enriched conditioner that hydrates hair, enhancing colors shine, clarity and luster. ISO Bouncy Creme,instant rejuvenation for curly, wavy or textured hair. Energizes and imparts awesome definition, separation, shine and bounce for a lively, healthy hairstyle. 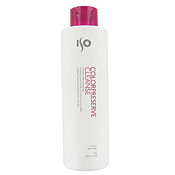 ISO Hydrating Shampoo,Reviving Shampoo moisture enriched cleansing for normal to dry and chemically treated hair types. ISO Hydrating Shampoo, Reviving Shampoo,moisture enriched cleansing for normal to dry and chemically treated hair types. Great on virgin and tinted hair,Frizz-free, Damage-free, Lye-free, Thio-free, Unsurpassed smoothness , shine and manageability!